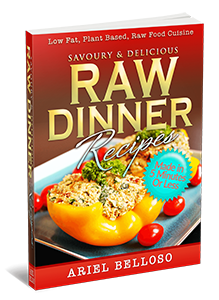 Q&A #1: Can You Eat Pasta On A Raw Diet? Firstly, I’d like to thank my readers for all the questions and feedback I receive on a daily basis. When doctors assess a patient’s blood test results, they go by clinical values. For example, the ‘normal’ clinical level for total cholesterol is any number between 100 and 199 mg/DL. That’s a wide range. It’s been found that one third of heart attacks occur in people with cholesterol levels between 150 and 199 — a ‘normal’ range. I am spending some time in Argentina at the moment. After living in London for 24 years it makes a bit of a change to spend time in South America.